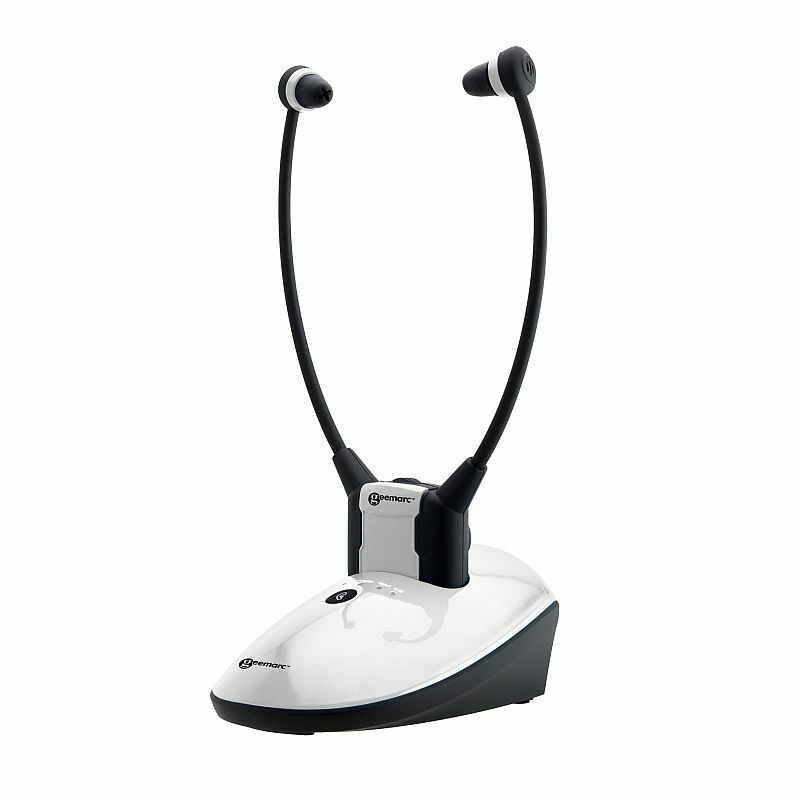 The Geemarc CL7350 OPTI Amplified TV Headset with Optical Input is a wireless TV listener ideal for improving the listening experience for anybody with hearing difficulties. It takes standard audio and amplifies it, making the television easier to hear. The listener features an incredibly loud volume – up to 125dB – making TV audio much clearer for the hard of hearing. As the listener transmitter utilises the universal 3.5mm audio jack, as well as the optical input on the back of the base, it is compatible with almost any audio device with a headphone port, including Hi-Fis, MP3 players, and CD players. To make sound as clear for you as possible, built-in left/right balance control enables you to adjust which earpiece sound comes from, and tone control enables you to adjust the frequency of the sound to match your hearing needs. Alongside amplifying TV audio, the listener can also amplify sounds around you. This is thanks to an integrated microphone that picks up ambient sound around you and uses the built-in amplifier to make ambient sounds as loud as TV audio, enabling you to hear conversations in the room loudly and clearly. To make the listener as easy to use as possible, it is completely wireless. It features a range of 60 metres for outdoor use and a range of 20 metres when indoors, meaning you can easily walk around your house and still hear the TV. It includes a battery life of up to 6 hours continuous use, and it even includes a fast charging base station so that you can keep the battery topped up when not in use.